David joined Masham Players in 2015 and quickly became involved in all activities, most notably putting his vast directing skills to use. His first was the one act play 'Alternative Accommodation' in July 2016. He then turned his attention to 'Brassed Off' in April 2017 which must be in Masham Players all time top five shows. It was a huge success with three sell out performances and David was the driving force behind it all. 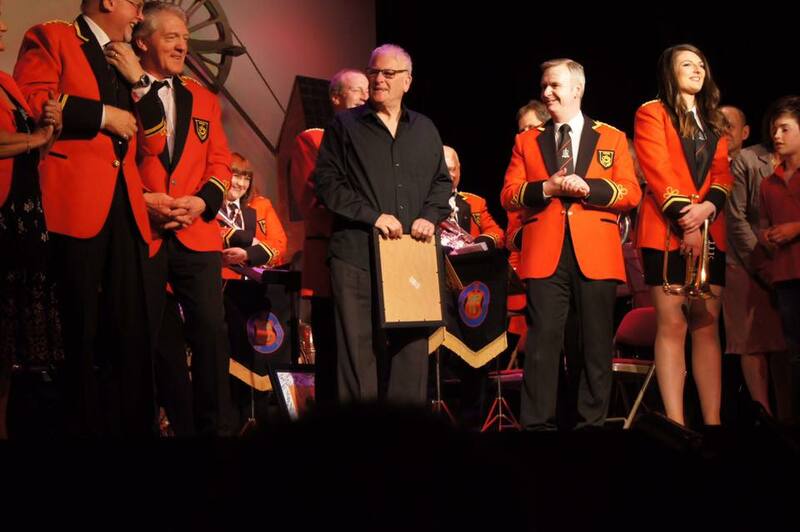 He can be seen on stage with the cast and band in the attached photo after the final performance of Brassed Off. He had plans for other well known shows too, but unfortunately he was not given the chance to see them through. He will be missed by us all and our thoughts go to Wendy, also a Masham Player, and his family.